This past week I did something that I do not do often enough, I spent an evening with a fun group of ladies. They were all young enough to be my child, but they didn’t seem to mind me joining in. We had a craft night. My neighbor, Shahana, who invited me over, happens to be a talented young lady I have known since she was a child. She is creative, artistic, and a good cook. I am more than a little jealous of her. 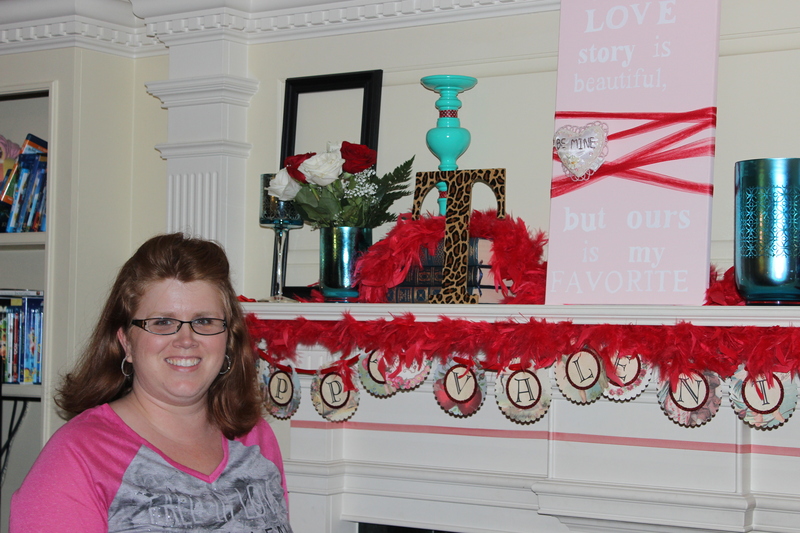 Here is a picture of her in front of her mantle. She had everything ready for craft night. 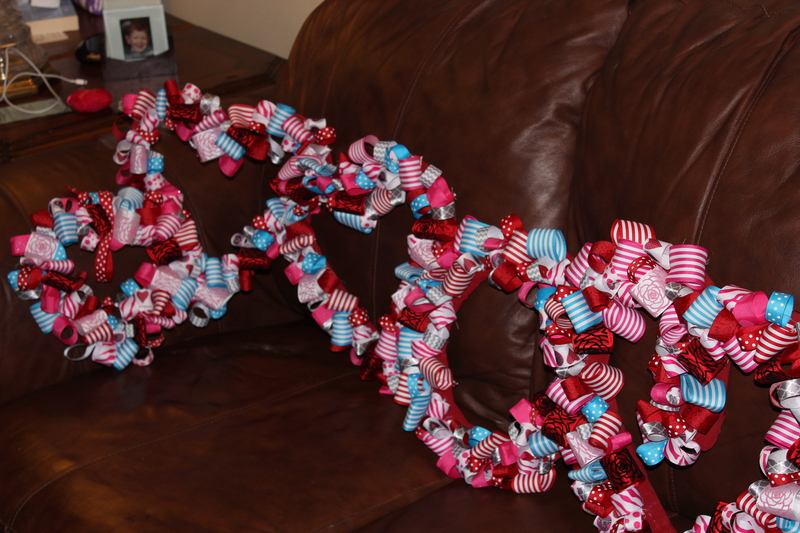 We were making looped ribbon wreaths. Shahana even had our loops of ribbon cut and stitched down onto tissue paper. I really am not sure she sleeps. She was right. They all worked. 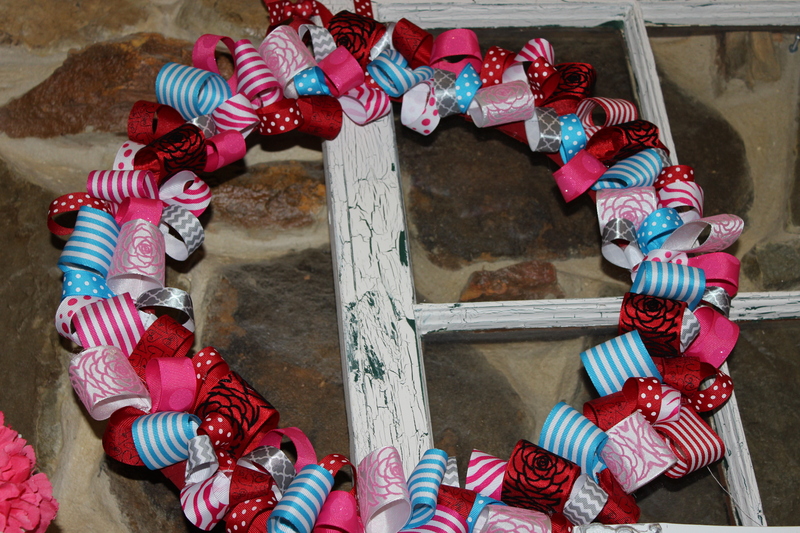 The trick is wrapping each wreath with left over red velvet ribbon she got 80% off after Christmas. We plugged in glue guns and got busy. 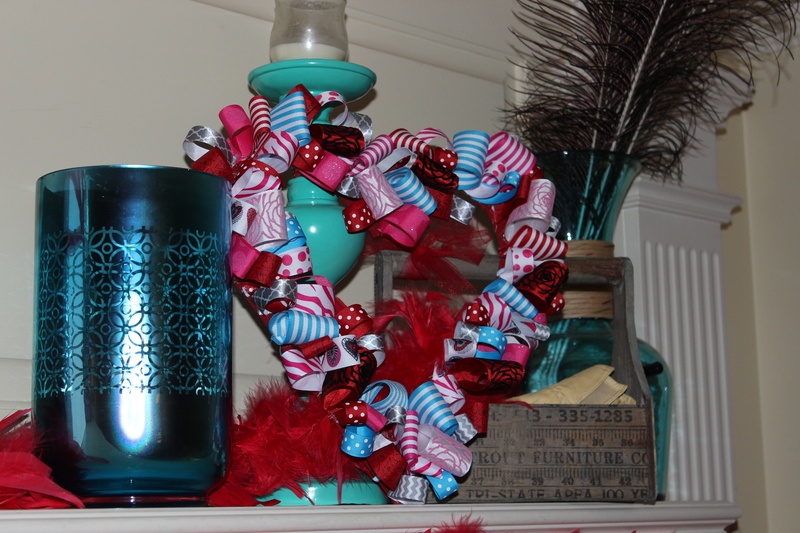 Tear the loops off the tissue then glue it to the wreath. The trick was to try to glue them upright. It took me a few tries but I got the hang of it. This is a fun project to do with a group. 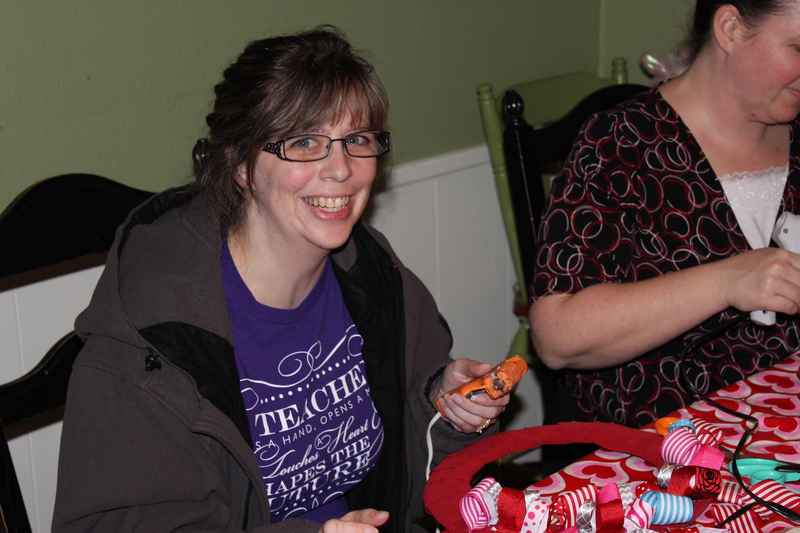 There is not much thinking involved when gluing so there is plenty of time to talk and laugh. We all had to promise to post our wreath hung in our house. Here is mine, but you don’t get to see where it is hung. 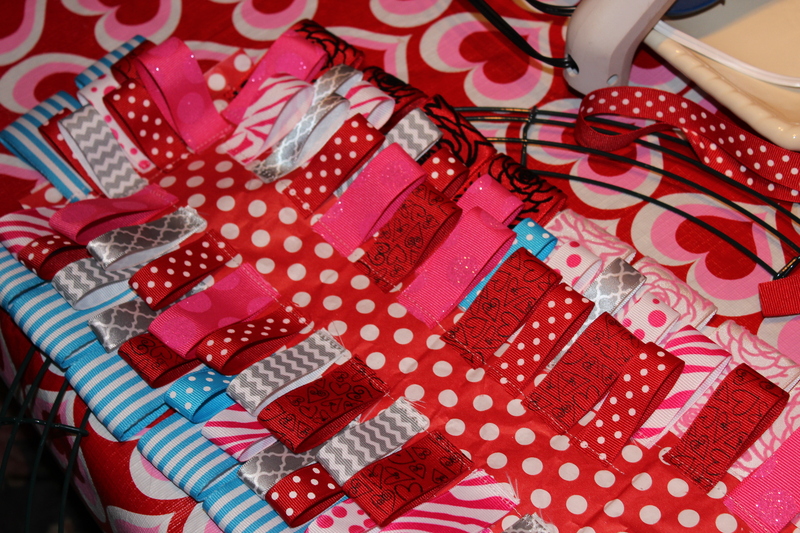 I have several projects to show you before I show the finished Valentine mantle. All the wreaths turned out great.